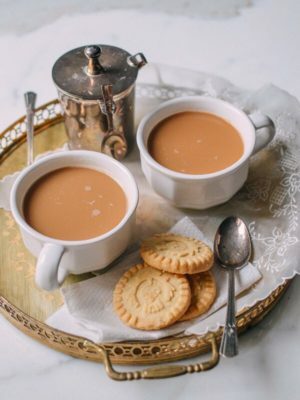 Or 2. 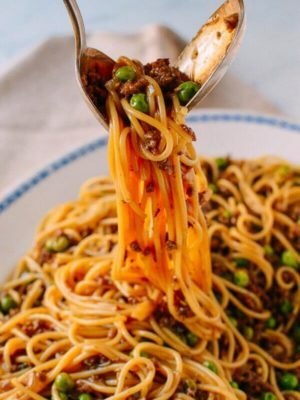 The “OH-MY-GOSH-THEY-DID-IT-THEY-HAVE-A-SPICY-CUMIN-LAMB-NOODLE-RECIPE!! 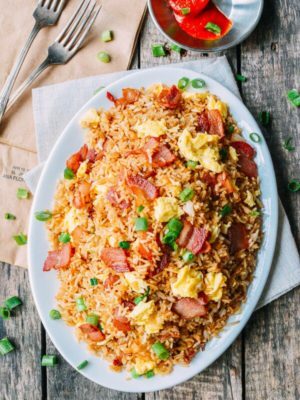 !-YAAAAASSSSSSSS” camp: You saw the picture of the finished dish and immediately recognized it as the magical, spicy, perfectly chewy concoction that you first tried either in Northern China or (more likely) New York City––at the wildly popular chain, Xi’An Famous Foods. 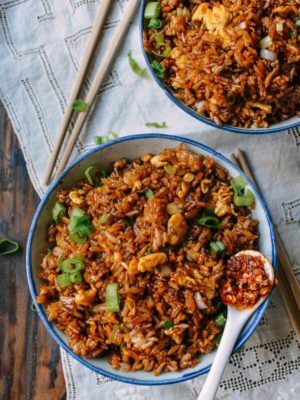 Regardless of what camp you’re in, I’m REALLY excited to be sharing this recipe with you Woks of Lifers today, because I’ve been experimenting with it for a while, and I’m really proud of how it turned out. Judging by how quickly my dad wolfed down a plate of this stuff last weekend, I’d say it’s a real doozy. 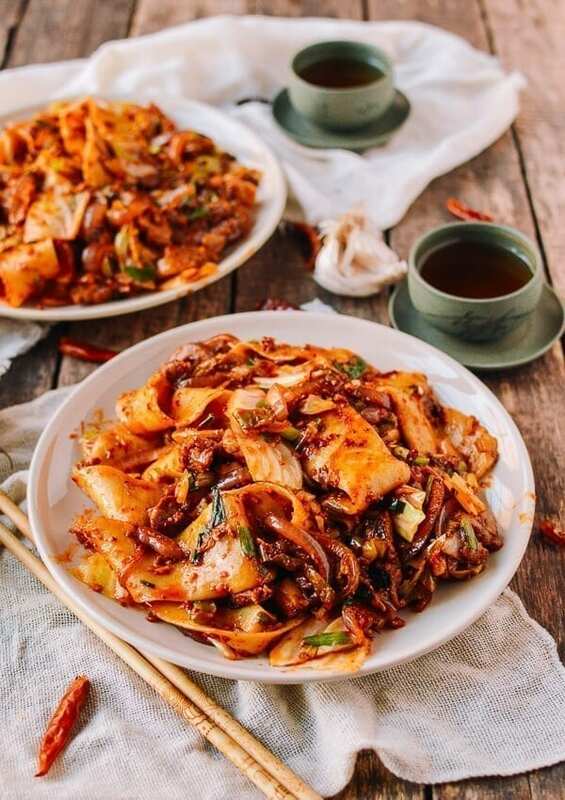 Biang Biang noodles are a Northern Chinese specialty, hailing from Shaanxi Province. 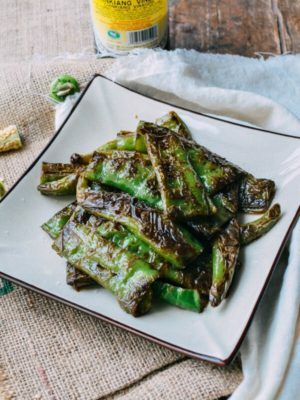 They are generally wide, thick, and chewy, and most importantly, hand-made, giving them a slightly uneven texture that clings to sauce really well. Oh, and the word biang in the term biang biang mian (“biang biang noodles”) is kind of special. 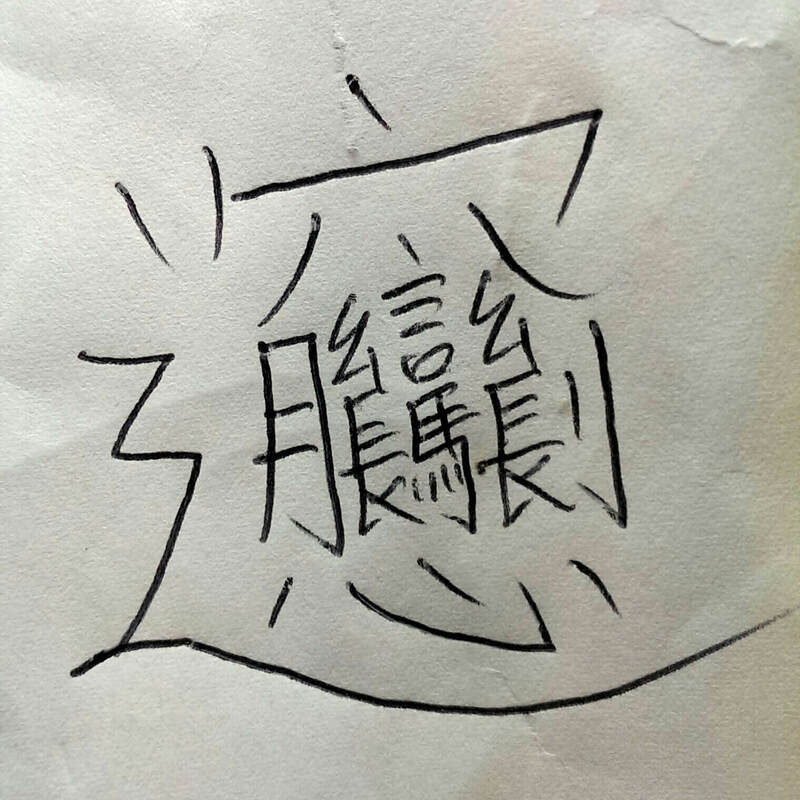 The Chinese character contains a whopping 58 strokes, making it one of most complex Chinese characters in contemporary usage (thanks Wikipedia!). 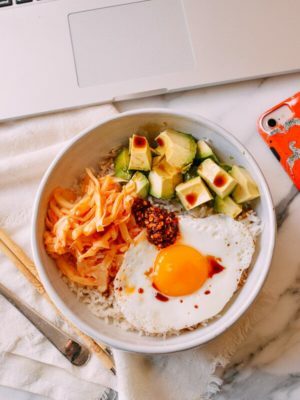 The origins of the word are unclear, but people say it was invented to describe the sound made from the noodles getting slapped and stretched against a table, or perhaps the sound made when chewing them. I think the table theory is probably more likely. 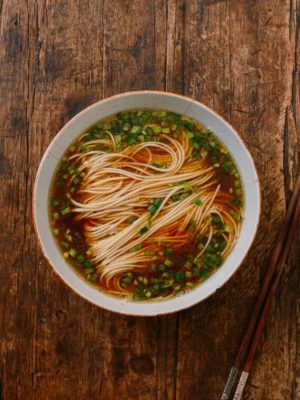 The noodles are often combined with spicy chili oils and eaten in the wintertime. 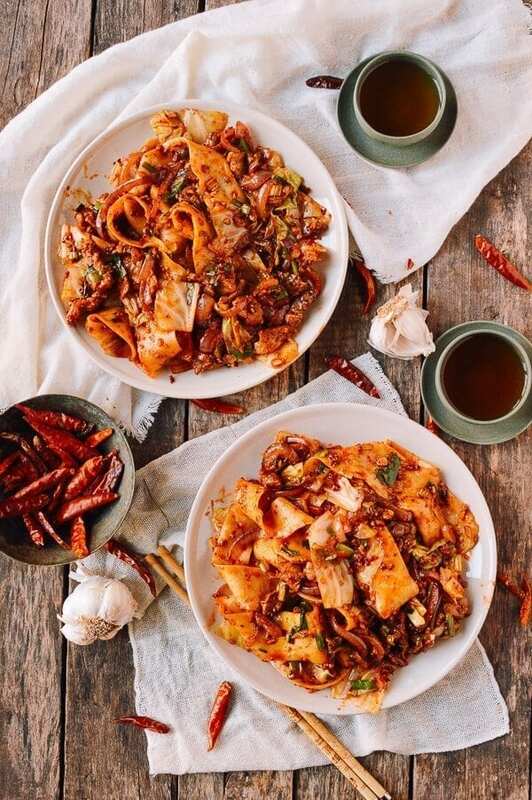 Having experienced a couple of Beijing winters myself, I can say that a bowl of spicy noodles can do wonders when it’s bitingly cold outside. 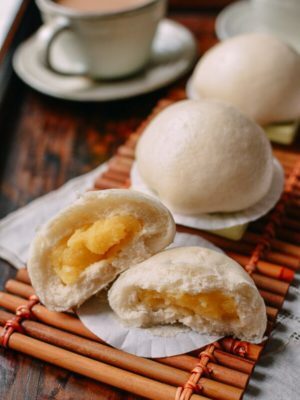 I found this Eater article on how Xi’An Famous Foods prepares this dish to be invaluable to developing this recipe, and I made sure to include most (if not all) of the ingredients mentioned. 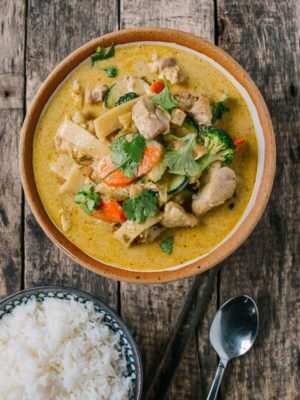 That said, my version is a bit more “homemade” in that it wasn’t necessarily designed to be replicated over and over again for the tons of customers walking through the doors of their restaurants every day. 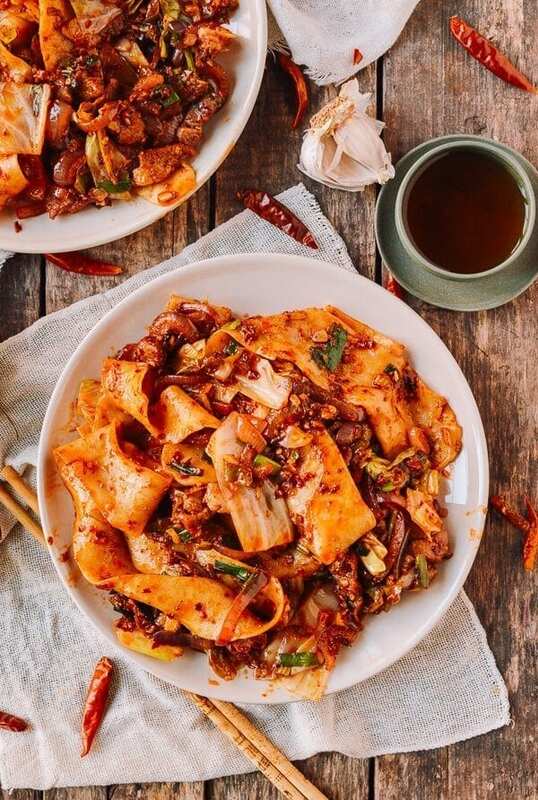 As a result, I think this recipe is a bit more flavor-packed than the XFF version, because rather than getting a small scoop of the lamb mixture tossed in with your noodles, you’re making a relatively large amount of sauce and then stir-frying the noodles directly in it. 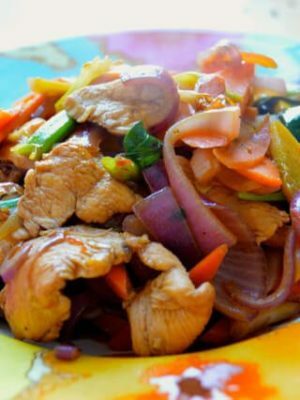 If you’ve ever experienced the melancholy of getting takeout at XFF, only to find that the noodles are hopelessly soggy by the time you get home (XFF actually goes so far as to recommend NOT getting takeout), you’ll be happy to know that this homemade version won’t go soggy on you if you decide to keep and reheat leftovers. The key is kneading the dough long enough and making sure to let it rest sufficiently as well. I also don’t hand-rip the noodles, like XFF does. I find that the hand-ripping method can make for thinner, sort of scraggly edges on the noodles, which can get soggy very quickly. 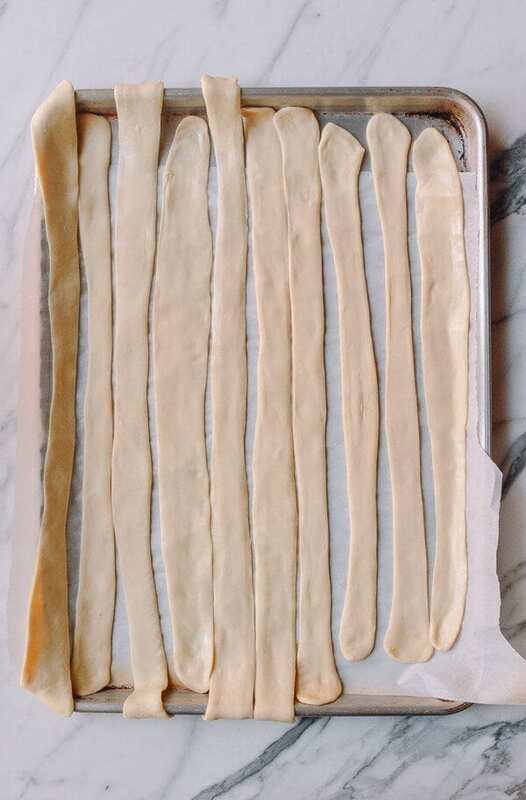 If you like your noodles not-as-wide as these, I think cutting them lengthwise with a knife (while not totally traditional) is the better way to go. 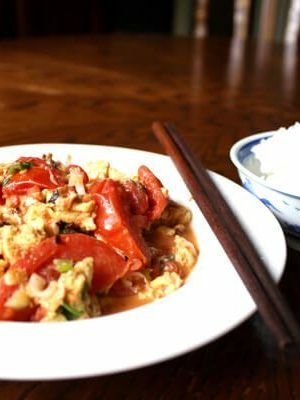 I went a bit crazy with the chili oil when I cooked and photographed this recipe. I put in a couple tablespoons more than what my own recipe actually calls for, because, well…we like spicy food. Feel free to adjust the amount of chili oil you use for your own taste preferences. 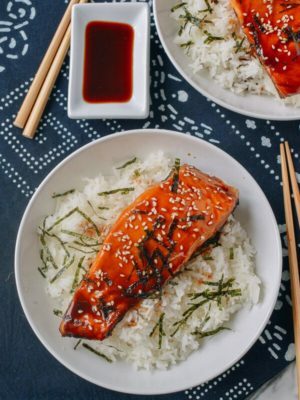 The color of the dish may change, but it’ll still be awesome. One more final note before we begin. Lamb shoulder isn’t always easy to find in American grocery stores, but it’s imperative to find a fattier cut of lamb like shoulder for this recipe. Leg of lamb or lamb shanks will not work. Lamb shoulder chops are sometimes available, which is what I used here. I’ve also used regular lamb chops (rib, not loin), which are always readily available. 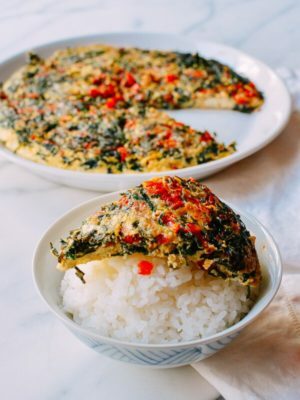 Is it worth slicing up a few lamb chops for this dish? That said, it can be hard to get all the meat off a lamb chop without wasting any, so I would just cut the big main chunk of meat off to slice (against the grain!) for the noodles, and then I took the bones (which still had quite a bit of meat on them), and pan-fried them with a bit of salt for a kind of meat lollipop snack thing. I gotta tell you––we were fighting over those meat lollipop snack things. They were good. I hope that doesn’t sound weird to you, but I know I don’t have to worry. 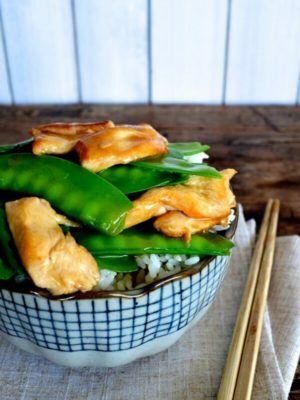 Because the Woks of Life readership knows food. And ya’ll are awesome. First, make the noodle dough. 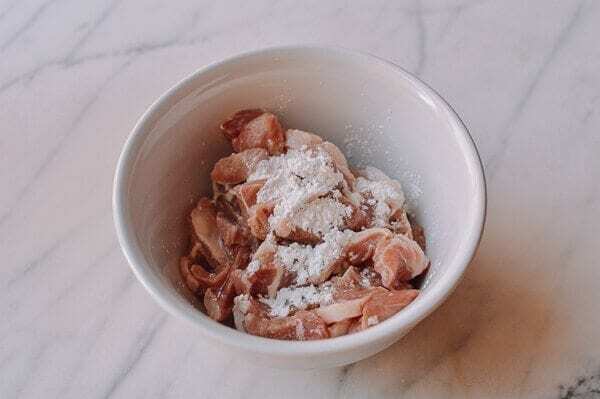 In the bowl of a stand mixer, add the bread flour, salt and water. 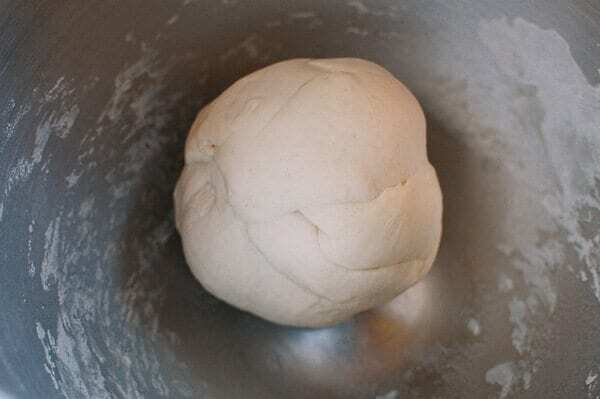 Combine the mixture with your hands or a fork until it starts to form a scraggly dough. NOTE: You can also use the mixer for this step, but I find it takes longer. Once the dough has come together a bit, attach the bowl to the mixer fitted with the dough hook attachment, and turn it on low speed (setting “2” on a KitchenAid). Allow the mixer to knead the dough for 20 minutes. 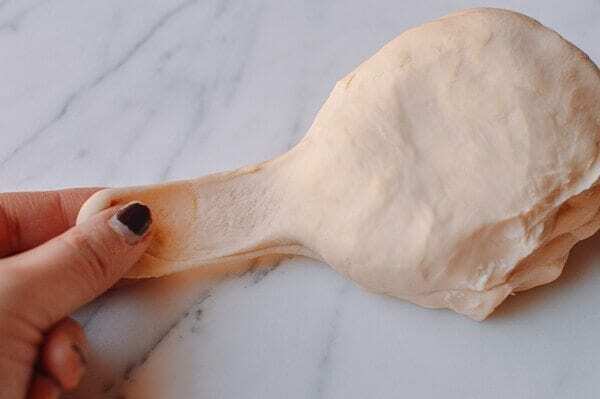 You’ll know the dough is done when you can rip off a piece of it and stretch it slowly by a couple inches without it breaking apart. If the dough breaks, knead for another 3-5 minutes (to allow the dough to absorb more moisture). If it still won’t stretch, try adding a tablespoon of water and kneading by hand to incorporate the water. 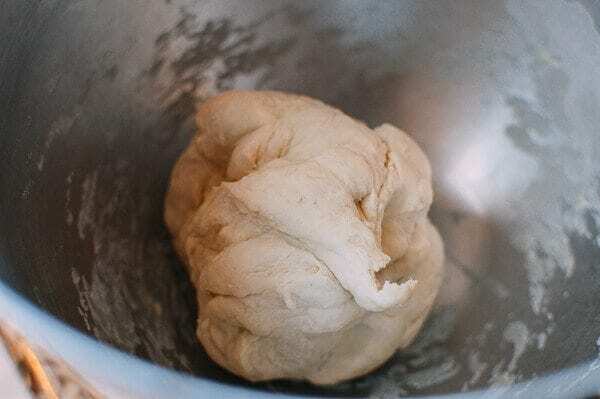 Then transfer it to the mixer once again and allow the dough hook to do its work for another 5 minutes. You need to give the dough time to absorb the moisture uniformly. 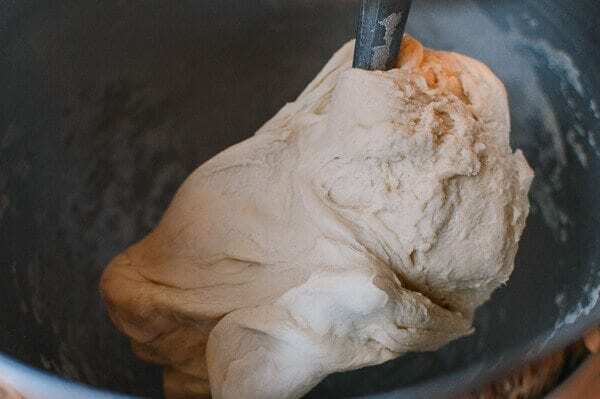 Once the dough has reached the right consistency, knead it by hand into a smooth ball, and cover it with plastic wrap or an overturned bowl (as long as the bowl is not touching the dough). Allow it to rest for 1 to 2 hours. 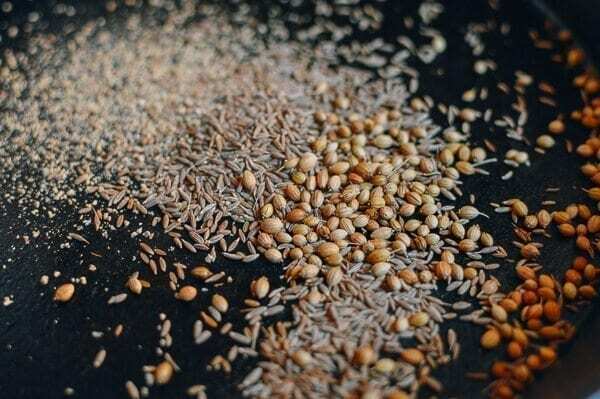 In a clean, dry pan over medium heat, add the cumin seeds, coriander seeds, and white pepper. 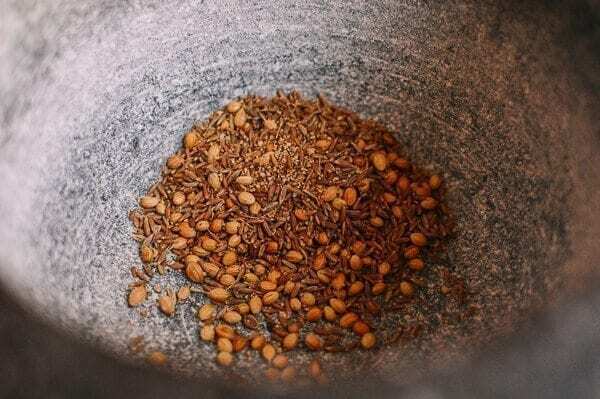 Toast the spices until fragrant, about 5 minutes. 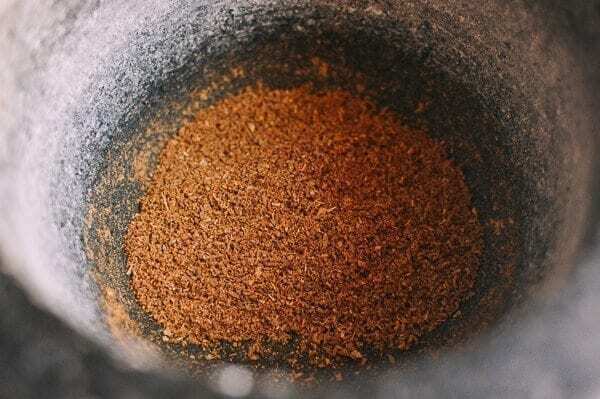 Coarsely grind the spices in a spice grinder or mortar & pestle. Set aside. Prepare all your vegetables, and set those aside as well. 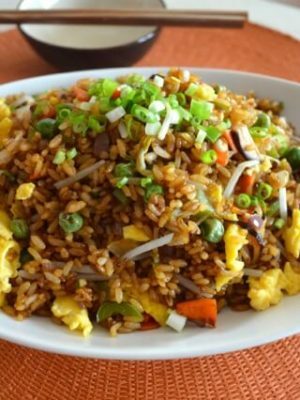 You want to have all your ingredients chopped, minced, and ready to go before you turn on the stove. Now you’re ready to make the noodles. 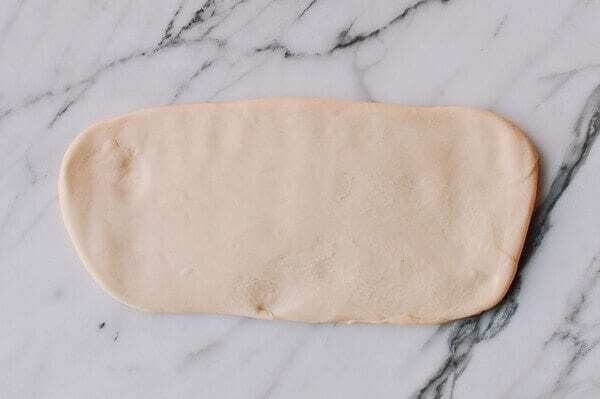 Line a baking sheet with parchment paper, and transfer the rested dough to a clean, oiled surface. Press the dough into a half-inch thick, relatively even rectangle about 10 inches in length. Cut the rectangle into 10 equal strips. Take each strip and lay flat on the counter. 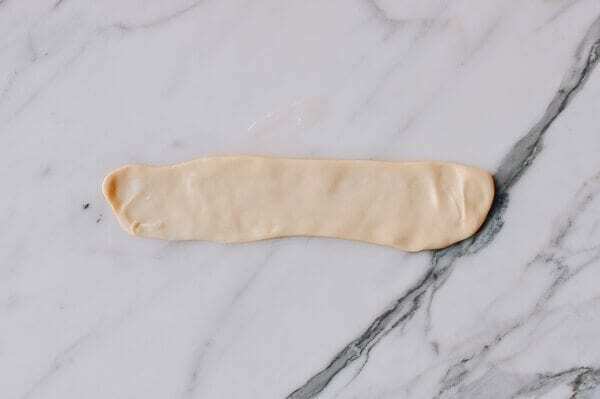 Use your palm to flatten the strip into a long, wide, flat noodle––don’t worry about it being perfectly straight or even. Now, the next step is how this noodle got its name. Pick up the noodle on both ends, lift it, and gently slap it repeatedly on the counter while stretching it out. You can also use your hands to flatten it out further so that the noodle has a relatively uniform thickness. 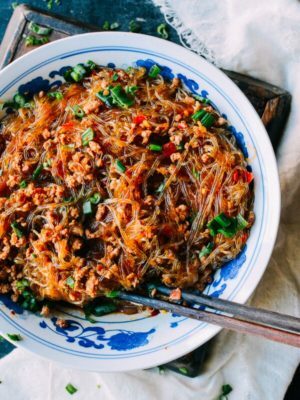 The biang biang noodles should be about the thickness of spaghetti––if they are translucent at all, they’re too thin. 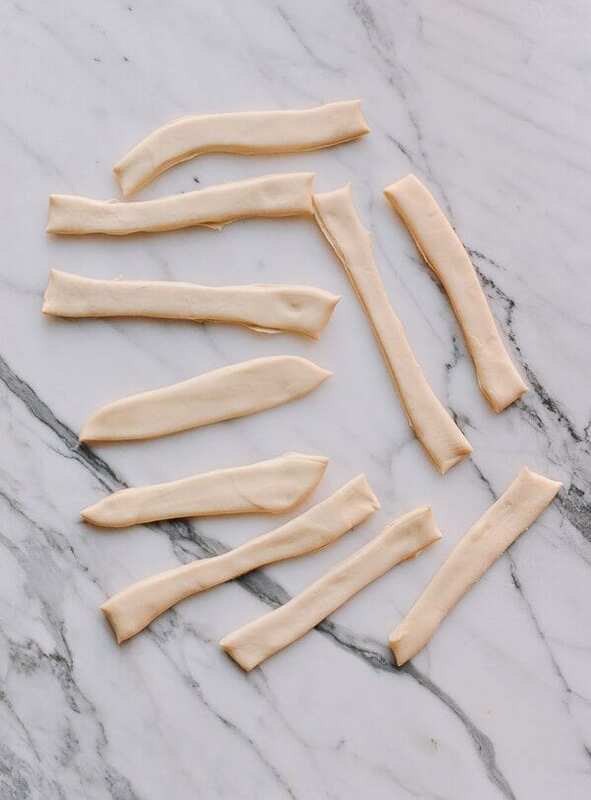 Lay them onto your parchment-lined baking sheet, and repeat the process until you have all 10 noodles. 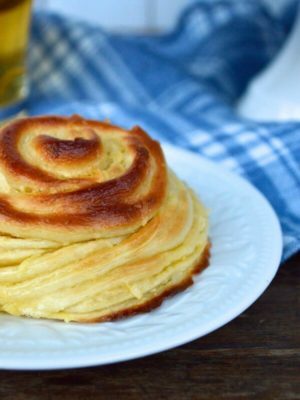 If you run out of space on the parchment paper, just put another layer of parchment on top. 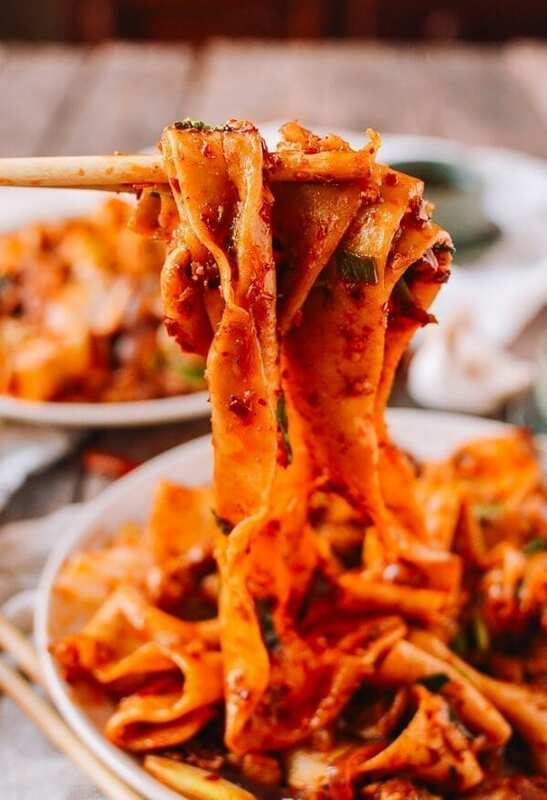 You can keep the noodles this thick, or if you like thinner ones, you can slice each noodle in half lengthwise using a sharp knife. Cover the biang biang noodles with plastic wrap so they don’t dry out. 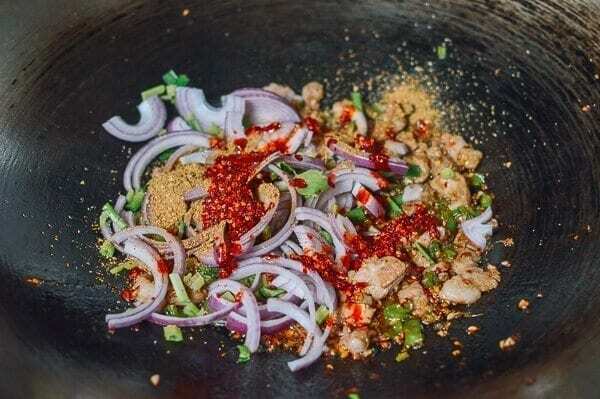 To make the sauce, heat 3 tablespoons of vegetable oil in a large wok over medium heat. Add the ginger and scallion whites and cook for 1 minute. 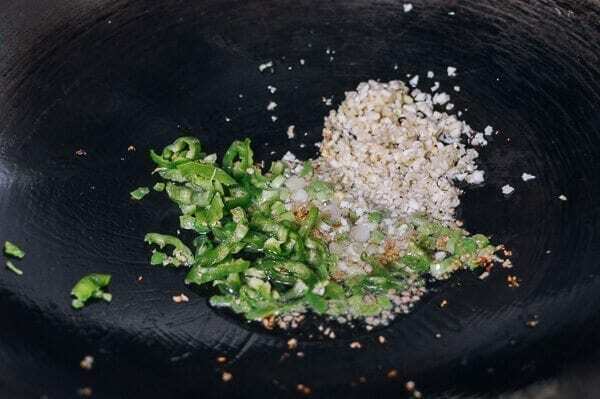 Add the garlic and chili pepper, and cook for another 30 seconds. Crank up the heat to high and add the marinated lamb. 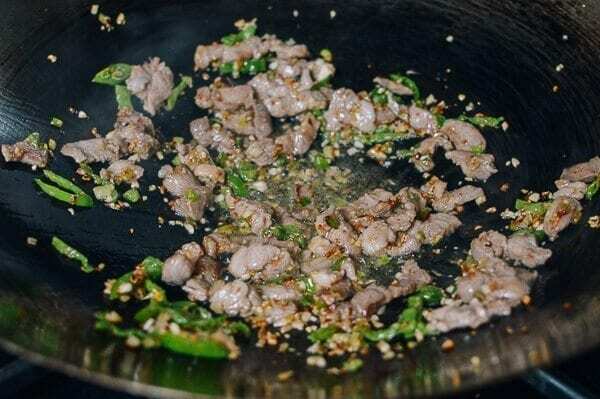 Stir-fry the lamb until just browned, and immediately add 2 tablespoons rice wine, along with your prepared spice mixture, the chili oil, sugar, vinegar, soy sauce, salt, onions, and celery (if using). 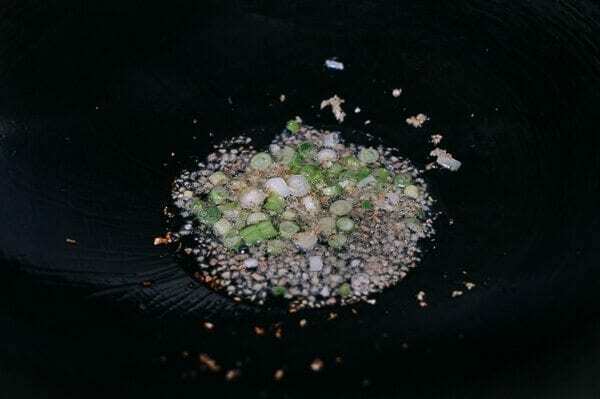 If things are starting to stick to the bottom of the wok, add a ¼ cup or so of water to deglaze it. 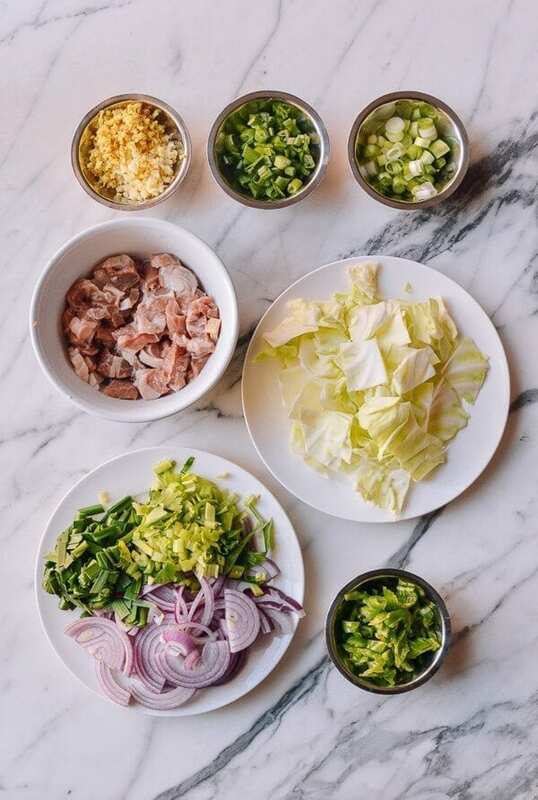 Transfer the cooked biang biang noodles and cabbage to the wok along with the garlic chives (if using) and scallion greens, and toss until everything is completely coated in the sauce. 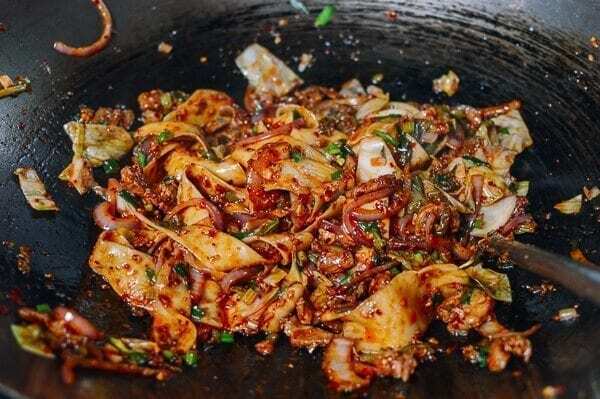 Serve your Spicy Cumin Lamb Biang Biang Noodles as a meal! 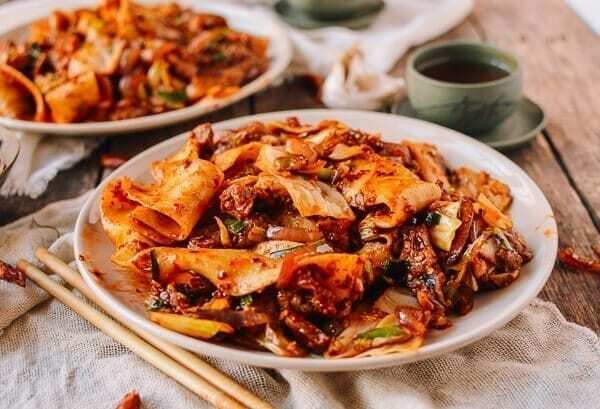 These noodles are just as good as the beloved Xi’An Famous Foods version, and if you find yourself far away from New York City with these noodles out of reach, you can now try your hand at making them yourself. 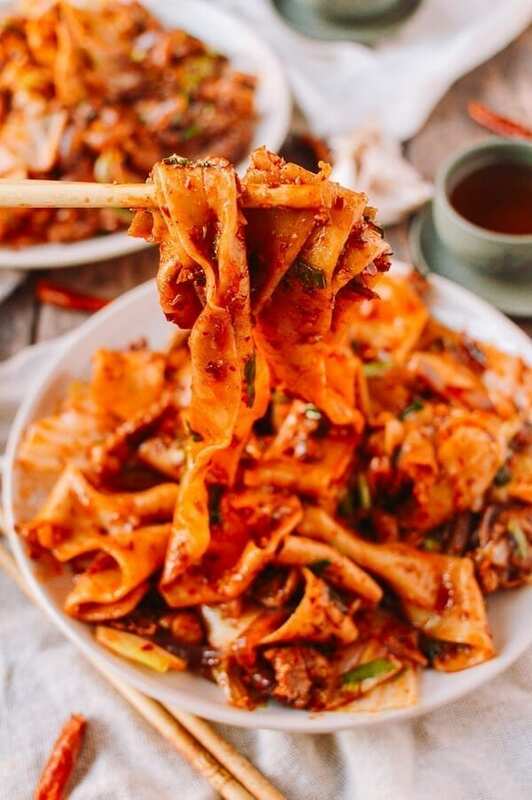 And again, while the noodles at Xi’An do tend to get soggy if they’re left to sit around for any length of time, I found that these noodles stayed nice and chewy––even after refrigerating and reheating. Which means leftovers––if you have any, that is––are a go. 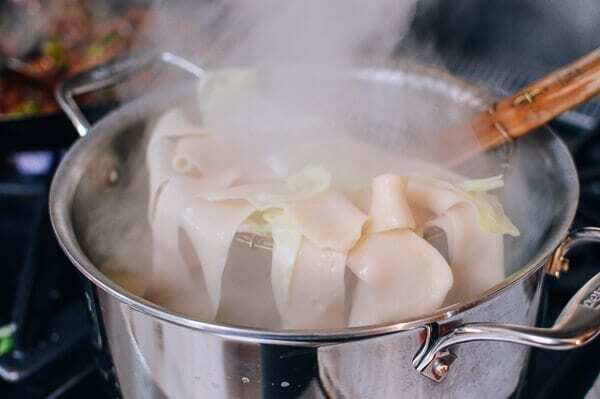 Biang Biang noodles are a Northern Chinese specialty, hailing from Shaanxi Province. 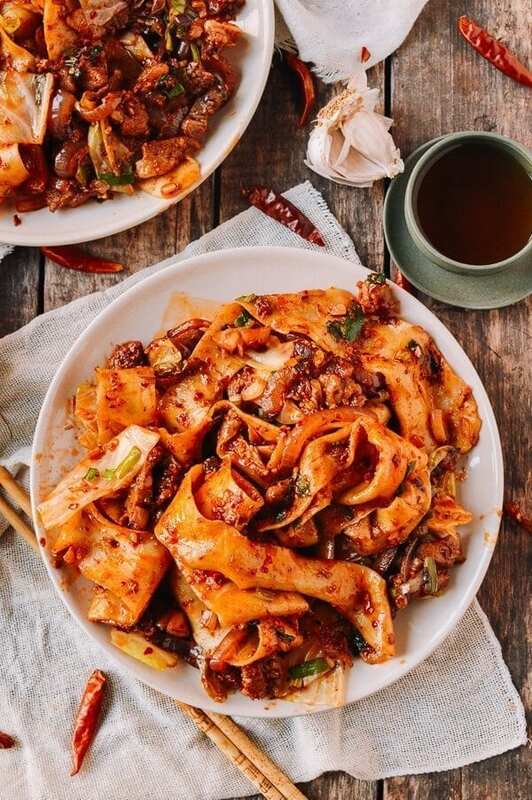 They are generally wide, thick, and chewy, and most importantly, hand-made, giving these biang biang noodles a slightly uneven texture that clings to that signature spicy cumin lamb sauce really well. First, make the noodle dough. 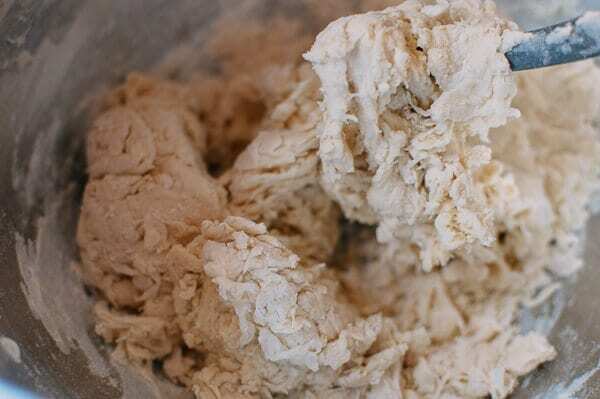 In the bowl of a stand mixer, add the bread flour, salt and water. 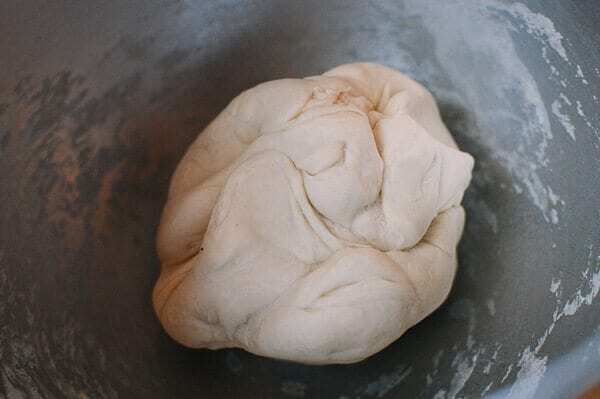 Combine the mixture with your hands or a fork until it starts to form a scraggly dough. Once the dough has come together a bit, attach the bowl to the mixer fitted with the dough hook attachment, and turn it on low speed (setting “2” on a KitchenAid). Allow the mixer to knead the dough for 20 minutes. 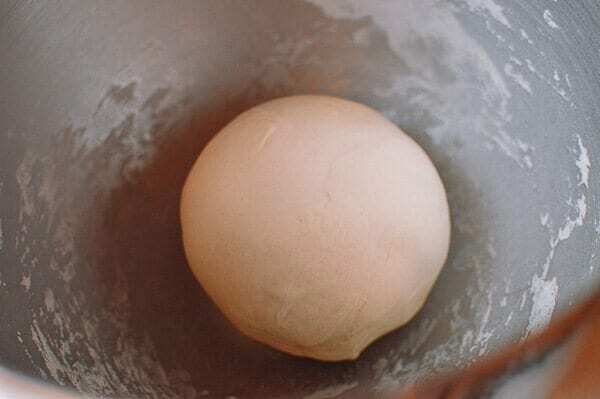 By the end, the dough will have formed a ball that: doesn’t stick to the sides of the bowl, is smooth and elastic, and isn’t too dry. Since this region is so close to Korea, I improvised and replaced the cabbage with cabbage kimchi to accentuate the chili flavor profile. I thought it worked well. I also used some fresh mustard greens for additional sharpness. Nice! interesting addition indeed to add kimchi and mustard greens! Definitely adds an extra layer of acidity that I’m sure was delicious. Thanks for sharing, Stephen!